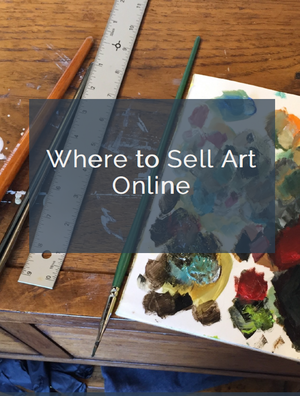 Art licensing is one option for visual artists to earn a living. Two artists pursuing this market talk about their strategies and successes. Licensing allows artists to scale their creative work by contractually giving manufacturers or art publishers the right to use their designs on a variety of products. Artists who license understand that their work is necessary to create appeal and help sell those products – thus, the licensed artist becomes part of a team. They must be flexible and responsive, willing to make adjustments, and hit deadlines. Licensed artist Cathy Hunt shares her design ideas on a variety of products. Her willingness to partner goes a long way. Manufacturers tend to be focused on the needs of their own customers and their bottom line, and need collaborators who share that goal. The artist can assist clients in visualizing applications for their designs by presenting ideas through the use of mockups. Cathy Hunt’s designs have been used on many products, including file folders. Hunt’s designs can be found on products such as fabric, baby mattresses, office file folders, back-to-school supplies, and fashion accessories. Her work is sold in stores such as Target, Office Depot, Staples, Marshalls and Walmart. She clearly knows her market and the appropriate products for her art. This strength translates into contracts and regular income in the form of royalties. Fabrics often featured artwork, like this design by Cathy Hunt. How does an artist get traction in the licensing field? They frequently have a website dedicated at least partially to licensing, showing collections and product applications. Artists may exhibit at trade shows such as Surtex that cater to licensees. They may share their portfolio on sites like Art Licensing Show, which has a password-protected area accessed by members of the trade. They can engage the services of an art licensing agency to represent them. Or, simply apply directly to manufacturers that take submissions. Experienced licensed artists frequently use their business network to build relationships with potential licensees as well. Botanical illustration is the focus of artist Lynette Merrick’s portfolio. UK-based artist Lynette Merrick is an artist who recently became involved in the field of art licensing. In 2015, daughter Rachel Merrick looked into ways of commercializing her large collection of botanical illustrations. Knowing that the art had limited market appeal in its raw state, they undertook a prolonged period of planning and experimenting to find how these illustrations could be modified to create different designs that would appeal to a wider market. Their website at LM Licensing was created to showcase how the designs can be interpreted across a wide range of product categories, with the aim of giving clients a platform in which they could see the potential in design opportunities relating to style, color tone and application. Lynette Merrick’s product mockups help share ideas with potential licensees. Artists who license clearly benefit from multiple contractual agreements, each one producing a stream of income. And as with many business models, exposure in the marketplace will help build a reputation and attract other potential licensees as clients. A strong plan, focused marketing outreach and persistence all work together to establish the artist as a licensing source and partner. Thanks, Christine. I agree – these artists have a high level of talent and skill, as well as an understanding of the licensing industry. Licensing is something I am currently interested in pursuing. I have many questions about the technical aspects. For instance: in what form (I’m assuming id need a digital file for each image) do I need to have the images saved in to compile my image library? what resolution, image size, etc? As I have sold many of the original works id like to offer for licensing, I am not sure if the image files I have are acceptable. Can i use one image and digitally manipulate the colors to achieve multiple “colorways”? Also, what are the legalities of licensing an image of which the original painting has been sold? I do offer prints of my sold originals, but as of yet have not licensed any of them. Is there someplace I can find more details about how to prepare a portfolio of images and legal or ethical guidelines? thanks Arsty Shark for this great article; you are awesome!! Thanks, Julie. Good to hear from you!